Tomasha Blount, left, and Shontia Edwards have joined Catholic Charities at the Seton Center. 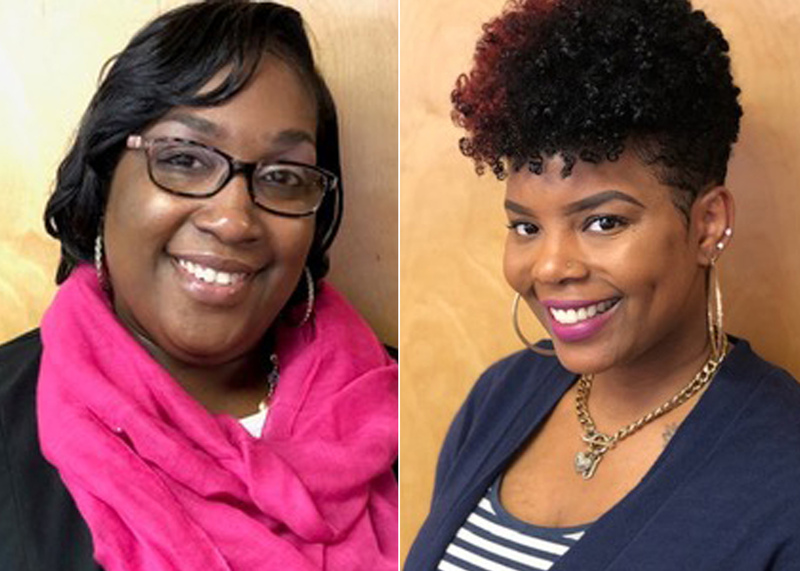 Catholic Charities of the Diocese of Wilmington is pleased to announce that Tomasha Blount and Shontia Edwards have joined the staff at its Seton Center location as case managers. The two bring a variety of community service experience that will support the agency’s clients. Blount most recently was a case manager at the Lower Shore Shelter, assisting residents to find the resources needed to transition to permanent housing. Edwards was a coordinator of community services for the state of Maryland, supporting and assisting clients in accessing services and resources. In their new positions at Seton Center, both Blount and Edwards will work with people and families struggling to maintain, or in some cases, regain, permanent housing. Their work includes helping the households to resolve the financial disruption in their lives, set up and maintain workable budgets, find income, and provide information and referrals to other beneficial services. They will remain in contact until the household regains its financial self-sufficiency.